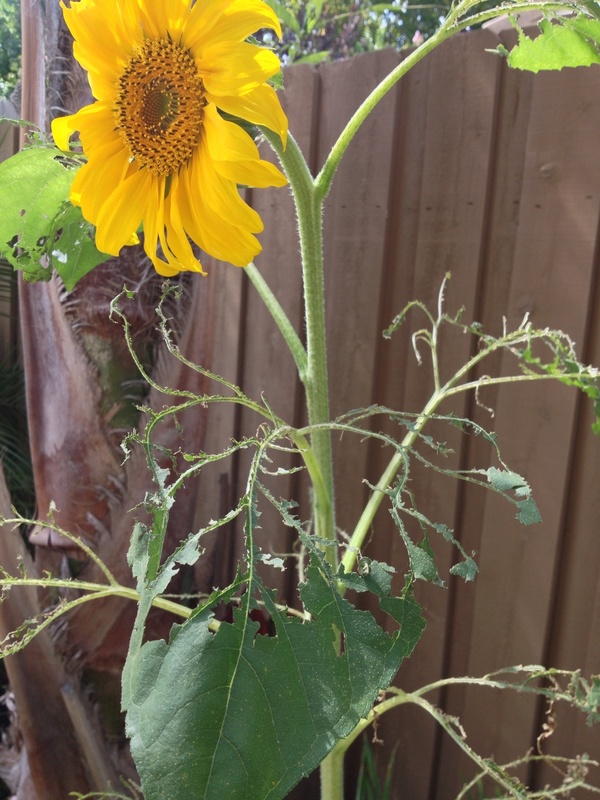 If you have sunflowers and the leaves look like this… And you don’t know the culprits… They’re finch. Sunflower leaves are a delicacy to the finch …. I’ve learned by experience!! Oh well, now I grow my favorite flower for the finch to eat!! Ha!